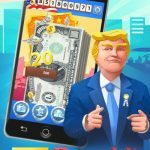 After just a little over a year since it launched its first game on the Google Play Store, Infinite Speed Tech has more than demonstrated its ability to capture the interest of millions of players across the globe. 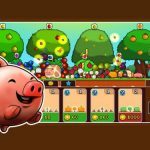 Following successful runner arcade game releases on Android like Run Monster Run!, Run Talking Ninja Run!, and Run Hunter Run: Monster Runner, Infinite Speed Tech has expanded its offerings to include casual and simulation games. 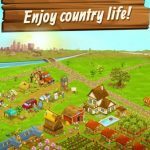 My Supermarket Story, as the developer’s first simulation game released just a week ago, presents a lot more than the typical supermarket or grocery store simulation games on the mobile gaming market. While it exhibits several game mechanics that you may be familiar with if you have played other supermarket simulation games, there are hosts of never-before seen mechanics that may come a surprise to you when you progress enough with the game. It looks simple enough at first glance and may seem like a child’s game because of the bright, cartoony graphics but if you’re up to putting your multi-tasking and management skills to the ultimate test, My Supermarket Story has the type of fun yet challenging gameplay to give you that kind of satisfaction. As opposed to just managing the day-to-day operations of the business as you ceaselessly upgrade each and every aspect of your store to boost profit, My Supermarket Story puts you in the shoes of a Supermarket owner and manager who sees profit maximization well beyond the walls of her supermarket business. As the first few hours of the game very well gives you all the time to fully get used to every facet of the supermarket business management, later on it will expand to purchasing other businesses, houses, and even research on products to increase their selling cost. There’s more to supermarket side of the business than meets the eye as you not only have to keep a close look at shelves and maintain cleanliness in your supermarket. Licenses to sell additional products and keeping tabs on your warehouse inventory also forms part of your multiple tasks. As you earn popularity to increase your rating level, you can upgrade your business more through expansion of the supermarket as well as the product catalogue. Even you, as the owner and manager of the supermarket, who works the cashier as well, can improve your skills to become more efficient in several aspects of the game. There are also rooms for customization as you can purchase and place a wide variety of decorations and ornaments on top of the various walls and floors you can choose to design your supermarket with. My Supermarket Story walks you through the game starting from the most basic things you need to do to be able to manage your supermarket. It is as simple as it goes and with each new feature you unlock, you will be guided through it with some textual explanations as well as highlighted buttons to click on, so don’t be take it as the end of the tutorial when the game says that you will start working on your own. Be sure to read through everything you see in the tutorials as it will certainly be very helpful on giving you an idea what each aspect of the supermarket management does for you. There’s still a lot left for your own discovery and strategy though, as simply giving you an idea on what to do doesn’t necessarily provide the information you need on how to each of the multiple tasks more efficiently. That is where our My Supermarket Story beginner’s guide comes in as we will give you tips and strategies on what you may want to focus more on so you can earn more and upgrade your supermarket business a lot faster. Considering that the most important part of My Supermarket Story is earning profit; it’s basic to start with the small things until you have more than enough money to invest on some bigger things. Your primary source of income comes from the various products you sell which means that you need to ensure that you always have something to sell from each of the 5 basic categories of consumables that you have for sale. Understand that ensuring your store shelves are very important, but beyond that, you have to ensure that there are plenty more items stored in your warehouse. Be sure to check inventory levels by clicking the Warehouse Icon at the right side of the screen. What you would want to have is to have the total number of items on each tab to be practically the same with one another most especially if you only have one shelf for each type of product. As purchasing items for sale are done thru orders, you need to wait for it to arrive and some take more time than others. There are boxes at the bottom which tell you how many orders can be made in queue and these can be upgraded as well. Feel free to purchase these upgrades but hold on if the costs become cash, which is the harder to earn premium currency. As much as possible make orders as soon as your order queue becomes idle to avoid spending cash and having to rush things later on. One good way of balancing items out is tagging a shelf as hot sale when you have an overabundant supply of it. This will make more people want to buy it and it will more likely be purchase a bit more than everything else. As you can only do this for one item at a time, be sure to check well which items you need to have a bit less of before you start tagging. You will be very busy with a lot of things that constantly compete for your attention in the game and the initial levels of your shelves can hold very few items which make you have to restock each of them more often. It’s pretty understandable to you constantly have to keep each shelf profitable so they always have to be available for selling but even though there is a waiting time while you are upgrading shelves which means you won’t be selling items from them for some time, you may often choose to restock instead of upgrading each. Once your store level increase, your supermarket will have a wider area and you will have more of some shelves. As soon as that happens, you can upgrade shelves that have duplicates so you can still sell the item which they hold. In any case, you would rather start doing upgrades on shelves sooner than later as the bigger your supermarket grows, the busier you will become and as more and more people come in, you may have more difficulty managing it on top of everything else you need to pay attention to. Similar to speeding up orders, one reason you should do this ahead is to not ne forced on spending cash to speed up the upgrades later when it becomes critical. One of the unique ways My Supermarket Story presents the business simulation aspect of the game is when you need to purchase a license to be able to sell a particular type of product. Some of these require your supermarket’s rating to be at a certain level but as having more items to choose from when it comes to selling, this is something you also have to invest on as soon as you are able to. Better items sell for more coins and also earn you more rating points but they take a lot longer to be delivered as well so if you want to stock up on these items be sure to have enough of the most basic ones in stock until the better alternatives are delivered. Any kind of help should be very much appreciated when it comes to handling a supermarket business all on your own. As cleaning the place up and restocking shelves isn’t enough, your Robot Assistant continues to work even when you are offline. Given that you can only hire the robot using cash, you should save your cash and make it top priority to have the robot around, preferably on a weekly basis. While you can already appreciate the robot assistant’s help when there aren’t a lot of customers around, you will most definitely be thankful and appreciative during Black Friday Sales as you can hardly see your shelves properly during these times and will most likely find it difficult to even click on the restock option with all those people around. The robot assistant may prove to go through these tasks more efficiently than you and you may end up “assisting it” by tapping on pieces of trash around so it can focus on restocking your shelves. One thing you should remember is that the robot assistant will always choose to restock a shelf with the cheapest available item that can be put on a particular shelf which means he will prioritize Pudding Sorbets over Clown Sorbets and Clown Sorbets over Ice Cream Cones while restocking the freezers. You can however click on a shelf and select off-loading to pull out some stocks and replace them with an item of your choice. Another thing you have to remember is that while the robot assistant does provide a lot of help, it’s not going to restock your warehouse for you but will instead remind you from time to time that stocks are running low. The robot assistant may say that as well even if you plenty of things to sell so long that some items are out of stock so it’s not that much dependent when it comes to monitoring warehouse inventory like that. So instead, be sure to check in once in a while so you can make advanced orders for items in categories where stocks are running low. Advertisements are inarguably an essential component of every free-to-play mobile game. As some people may still be turned-off by it, it should be understood that it’s there because people get to play the game entirely free. Additionally, while some advertisements in games may seem intruding, in My Supermarket Story, its entirely up to you if you want to see them. As cash, being the premium currency in the game is very difficult to earn, you should grab every opportunity to get as much as you can when an opportunity to do so is presented. In the game, you can earn 2, 5, or even 10x cash after watching a 10 to 30-second ad once every two minutes so you may want to do this more often to be able to afford hiring the robot assistant as soon as you can. Once you have more than enough cash to ensure that you can consistently hire the robot assistant, you may want to earn more so you can finally focus on purchasing additional cartons for purchase order queues. While you may be too preoccupied at the first few minutes of the game to even have time to do so, tapping on the gift box and heart icons above some customers and fans can help boost your game even by just a little at a time. While you are still entirely on your own without the robot assistant and are still tending to shelves and trash yourself, you may want to consider these as distractions and instead avoid them. Once you have the robot assistant with you and your warehouse is full, or in short, if you would instead be idle, you might as well spend a bit of effort on this. One of the challenges in tapping on speech bubbles is that smashing randomly all over the screen may make you click on your shelves instead. To do this more efficiently especially when it is crowded in the supermarket because of Black Friday or a superstar visit, choose to tap on the area near the door of of your supermarket as all people pass through there and you will be able to obtain more rewards by continuously tapping there as people pass by. As your supermarket business grows and develops so should you as its manager. Be sure to visit the Skill Icon on the lower left hand side of the screen and upgrade your skills to keep up with the growing demand of your business. You can reduce purchase time and payment time as well as increase purchase quantity and boost rating rewards on Black Fridays. As you may often encounter instances when payment lines are too long and some customers leave the store, you may want to prioritize upgrading payment time first. If it’s taking too long for your to progress your ratings to make it to the next rating level, then invest some money on gaining more rating points on Charm. You can also reduce the time it takes for your purchase orders to arrive by upgrading the Manage Skill. Upgrade this when you are always experiencing critical needs to sustain your warehouse inventory. The Expansion Skill, which is the very expensive one to enhance, increases the quantity of orders you make. Be sure to be careful with this upgrade as each succeeding order you make will have that much quantity and your warehouse may find it difficult to cope up with that. Upgrade this only if you are having a hard time making orders in advance regularly. The maximum level you can attain for each skill is 30 so once you do that you need not worry about the skills any more later in the game. This is probably not as much as a priority as compared with the previous items we discussed so far, but it helps a lot when you want to boost your rating levels so you can reach the next one and expand your supermarket. The idea here is to spend some money and send gifts to superstars so they will have more fans that provide more popularity points to your supermarket to reach Black Friday statuses a lot faster and ultimately earn more rating points. What’s important to know here is that after several levels up, superstars will take less time to come visit your supermarket. As levels of your relationship with them grow higher, so too will the price you pay for those gifts. Even if you don’t invest on superstars, they will still visit your store and will most likely even purchase the entire content of one random shelf. With a lot going on in My Supermarket Story, expanding your supermarket actually signifies the level of your progress and it is one of the best intermediary rewards you would very much appreciate after all the time and hard work you spend in the game. You can always click on the Expand Icon at the right side of the screen to see the required Praise Level you need to achieve as well as the perks you can get from it. As you will surely notice when you level your ratings up, be sure to purchase the next expansion as soon as it becomes available so you can enjoy being able to sell more items simultaneously and earn more. Once you see those two diamonds beside your rating level, you can start purchasing businesses in front of your supermarket and some houses behind it. As you may have considered the supermarket to be your primary and exclusive source of income up to this point, purchasing all five available businesses can lead you to earn even more than your supermarket provides. What you should prioritize here is being able to purchase each first and then just upgrade even just a little from time to time as you play. These businesses earn coins and special currencies you need later at an hourly basis and continues to earn while you are offline as well. On the other hand houses that you purchase earn you ratings you need to speed up the rating points you gain and raise your Praise Level faster. What you should aim for as well is to purchase all five houses so they can start earning every hour after and just level each up once your businesses can sustain your money needs. Be sure to always check on the businesses and houses that you purchased every time you log in on the game as it is best to grab the money and ratings they accumulated while you are offline sooner than later. Once your businesses start earning money, they will also generate special currencies that you need to improve the items that you sell. As improving items raise their selling price, this should be done as soon as you can so profits from your supermarket will grow even faster. Some of these improvements may require Praise Levels to unlock but if you have purchases houses along with the businesses, reaching new levels will become a relatively easy goal to achieve. On top of Daily Login bonuses, you can also earn additional rewards by accomplishing some easy objectives each day. As most of these tasks can be completed just by playing the game regularly and doing your usual routine, you may earn some rewards without you even knowing. Just to be sure, you should check the Task Icon on the lower left side of the screen and try to accomplish some tasks till you reach the “100 active” goal and claim each reward. Once you have everything unlocked and still aim to just do more of the upgrades as you continue to play the game, you should check on the Rankings to further motivate you on striving to move forward ahead even more. You can see your Rating as well as Sales Ranking here and be able to compare with scores of players worldwide. That pretty much covers everything we know as far as our My Supermarket Story tips, cheats and strategies are concerned. Confidently enough, we are certain that you can reach greater heights in the game after reading through and following the tips and strategies we mentioned here. Like any business simulation game and real life entrepreneurial ventures, your profit can be proportionate to the amount of time and effort you put into it although being more efficient may mean earning more with less time and effort. Well, we hope you enjoyed reading our guide and if you want to share anything related to what you’ve read here, you are very much welcome to let us know through the comment section!